Disney has a certain charm to their movies that is often imitated but never fully duplicated. A childlike whimsy that appeals to the young and old, where you easily get swept up in the emotional moments. You laugh with the film, your heart breaks with the film. All of this done so effortlessly. Disney is the leader in making films that embrace your inner child. This is due in large part to Walt Disney himself, who always took found imagination and fantasy in everything he produced. The man was nothing more than a large child with dreams of sharing that feeling with the world, and we love and appreciate him for always doing that. Such is the strength of “Saving Mr. Banks,” the newest production out of Disney and the story of how one of the company’s finest works, “Mary Poppins” was created. The movie embraces the whimsical nature of Disney by turning in wonderful performances and a never-ending atmosphere of creativity that will bring a smile to your face. World renowned publisher, Pamela Travers (Emma Thompson) has finally decided to hand over the rights to her Mary Poppins to Walt Disney (Tom Hanks) so that he can make the film he has always dreamed of. The problem is that Ms. Travers is very selective of what happens to her character and doesn’t want her to be tarnished. This leads her to fly from London to Los Angeles and to oversee the preproduction of the film, only to question every decision made by the creators. As always, Tom Hanks is wonderful in this role, even more so than usual due to him playing such an iconic figure. 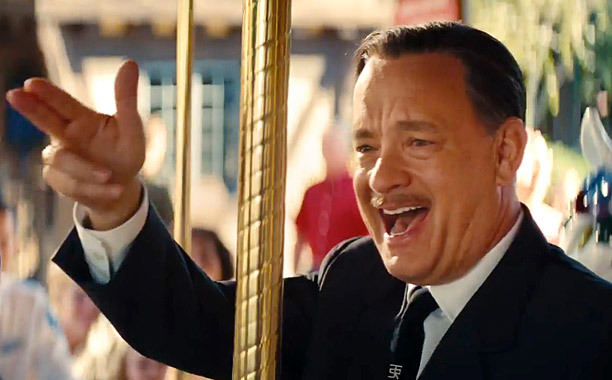 Hanks is lost in this role, to the point where you feel like this is Walt Disney. He speaks passionately about pleasing not only his daughters, but every adult and child who goes to a movie theater, and you believe every word he says. Emma Thompson plays Pamela Travers as a snob who has lived a difficult life, especially during her childhood. We learn through flashbacks about her relationship with her father (Colin Ferrell) and there is more than enough love, but also lies and hiding the pain. Ms. Travers attitude with the world of Disney is understandable for someone who has shunned childish behavior. This is the driving force between Hanks and Thompson. A man who has always embraced being a child and a woman who wishes to forget about being a child. Neither of them are wrong in their pursuits and attitude but they’re both people who wish to dominate and to have everything go their way. From the first scene these two share, they both try best one another. From something as simple as what they should call one another (Pamela always wants to called “Ms. 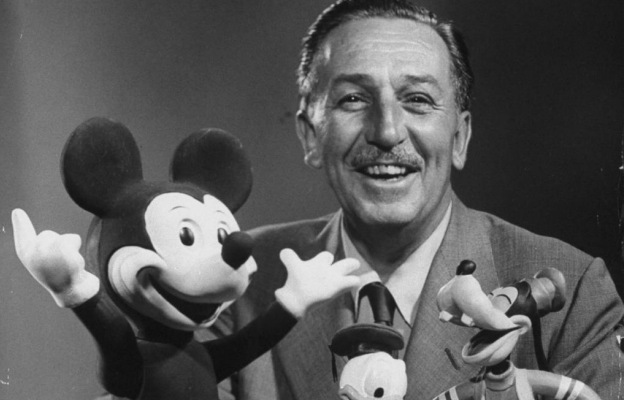 Travers” while Walt is always on a first-name basis) to whether there will be animation in the film, which of course Mr. Travers opposes. Scenes like these feel natural, given their characters, but also lend themselves to some of the best dialogue in the film. 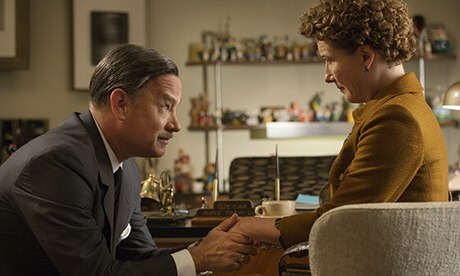 Overall, “Saving Mr. Banks” makes me very happy and leaves a warm feeling in the pit of my stomach. Its a film that manages to capture the essence of Disney and what it means to anyone who has ever gone to Disney Land or watched movies like “Fantasia” and “Bambi.” They don’t try to emulate “Mary Poppins” but instead offer up a companion piece that captures many of the same emotions. 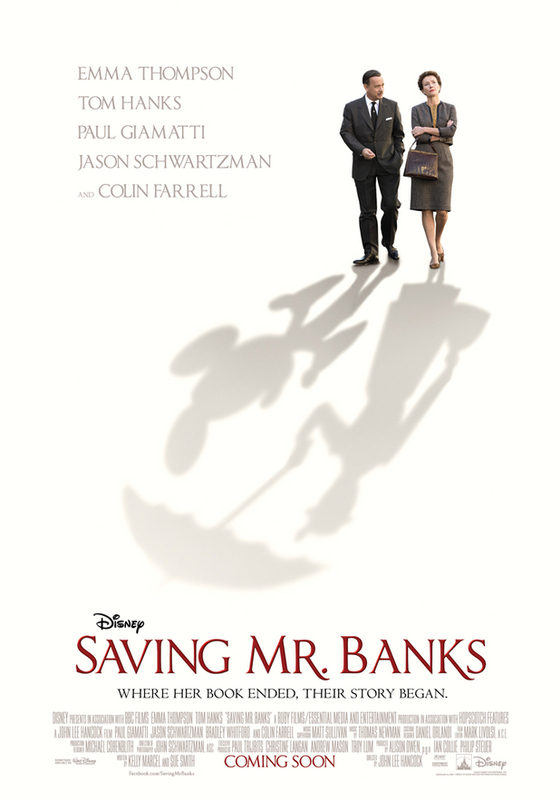 Whether you’ve never seen “Mary Poppins” or haven’t seen it in a long time, like I have, “Saving Mr. Banks” is one that needs to be seen, if only to watch Tom Hanks disappear into the role of Walt Disney.